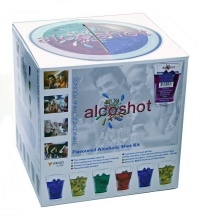 This is the refill to make 120 shots of mixed fruit flavoured alcoshots in just 5 days. They are the equivalent strength of commercial vodka shots at around 15% ABV. Requires this equipment to make.